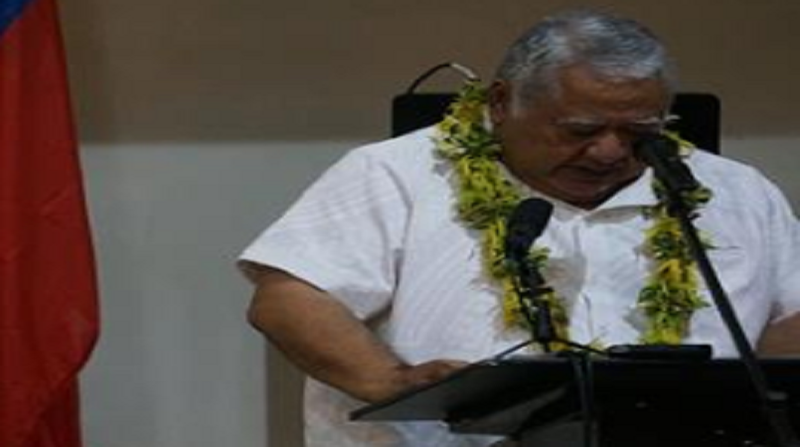 Prime Minister, Tuila’epa Sailele Malielegaoi has officially opened the forum of Dialogue on Science and Science Policy for the Sustainable Development Goals for the Pacific small islands developing states. “It is an honor for Samoa to host the regional dialogue on Science and Science Policy advice. As well as the implementation of the sustainable development goals, through the UNESCO Office for the Pacific States, partnered institutions and academia” he expressed. The two-day forum aims to produce dialogue around the needs and options for bridging the gaps between science, technology and innovation (ST&I) systems and policy-makers in the Pacific SIDS, with a particular focus on the framework of the SDG’s and the UNESCO’s SIDS Action Plan. Tuila’epa says the workshop is a timely exercise for Samoa, given the fact that Samoa is struggling to connect the gap between Science, Technology and Innovation and Public Policy. “We lack the basics of having adequate personnel to teach science and mathematics in our schools,” he said. This forum is a regional first for small islands development. It’s outcome will be shared with organizers and sponsors who will provide this forum with policy makers, practitioners, and national academics. “The significant impact of climate change on small islands in the Pacific, can only be understood and addressed through science policy making. Science, technology, and innovation are effective tools to build our cities through natural disasters and risks,” he added. “It is a fact that is a must for all small islands, Samoa included, to consolidate science technology and innovation policy, and science advice, if we are to achieve sustainable development,” Tuila’epa says. The Dialogue ends (today) Thursday 29th March, 2017.